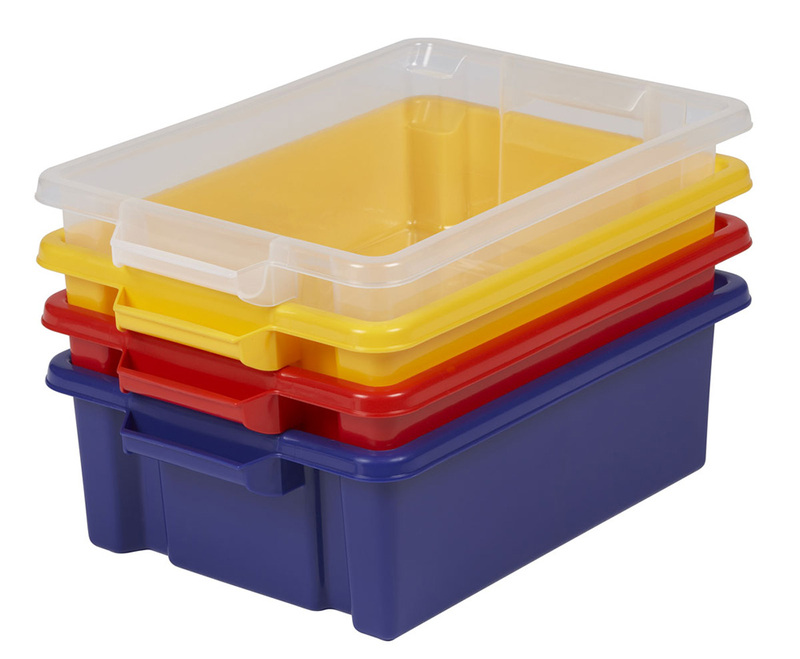 The Budget variety tray storage unit is available with either 7 or 14 mixed trays sizes. 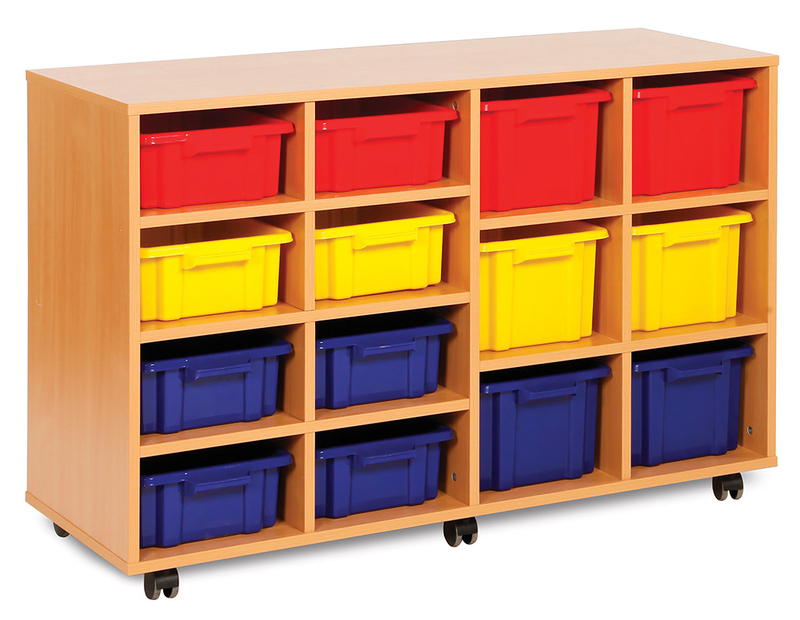 Our Budget range is an affordable classroom storage solution which is designed for use in schools, pre-schools and nurseries. 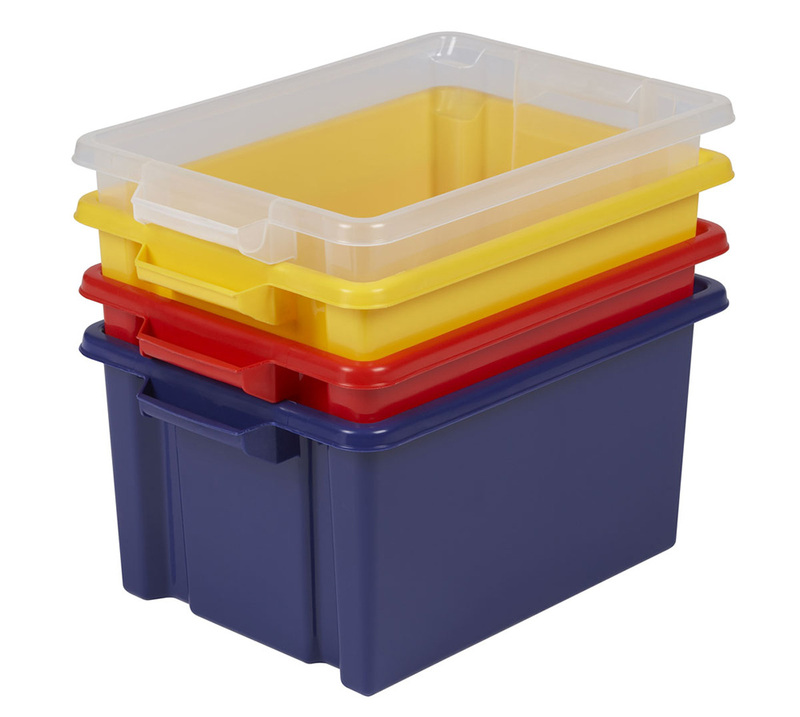 Ideal for storing everyday classroom materials and toys. 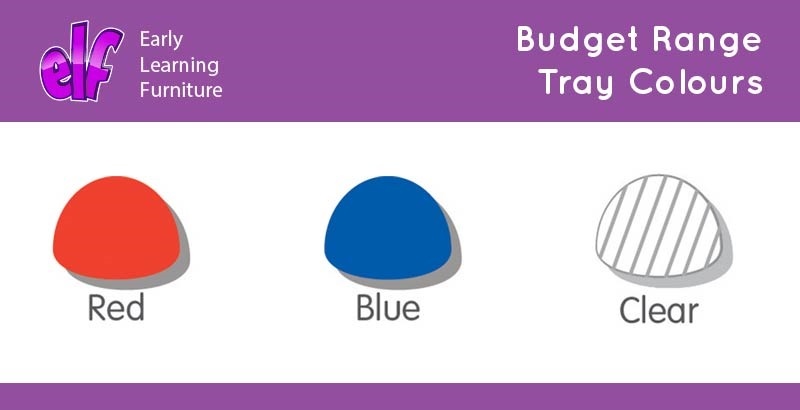 The Budget variety tray storage unit comes with a mix of deep strata trays and shallow strata trays which are available in 3 bright school colours - blue, red and clear. 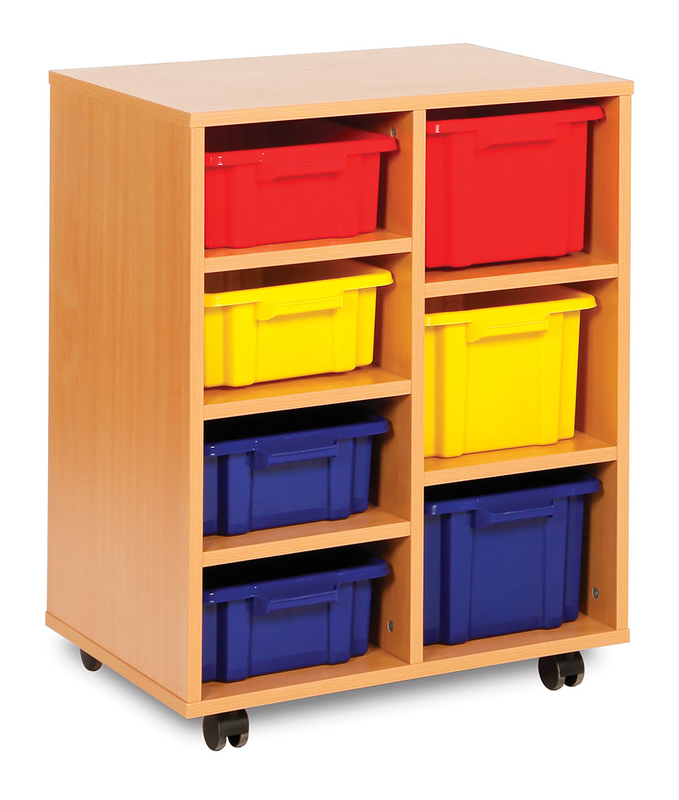 Constructed from durable 18mm MFC in a modern beech finish and supplied with easy glide castor feet so you can choose to have your school storage unit mobile or static. You can personalise your school trays to co-ordinate with your school or classroom colour scheme. Please note: multi-coloured trays are available at no extra cost. Yellow trays featured in product images are no longer available. Please Contact Us or call for more details on 01733 511121.